Former Baltimore Ravens running back Ray Rice kicked off a huge poop storm when a video surfaced of him battering his then fiancé now wife Janay Palmer recently. It was quickly followed by a wave of similar news, including allegations against U.S. District Judge Mark Fuller who is said to have battered his wife in a hotel room. Hashtags followed, specifically, #WhyIStayed and #WhyILeft, which helped to shine a bright light on an issue I had no idea was prevalent. I consider myself pretty savvy and aware, especially about crimes perpetuated against women, but the sheer volume of support – and of course vitriol – that emerged around domestic violence following the Rice situation blew my mind. What should employers do, if anything, when they suspect an employee is committing domestic violence? “Situations involving purely off-duty conduct, including domestic violence, can be tricky for employers. If off-duty conduct adversely affects job performance or attendance, then employers should discipline the employee on those grounds per the company’s policies, procedures and past practices. If off-duty misconduct does not affect job performance or attendance, the employer possibly could offer counseling under an employee assistance program. “Many employers are reluctant to take an adverse action against an employee for off-duty conduct that does not negatively affect performance or attendance. That’s a blurry line that many employers simply will not cross. “However, if the off-duty conduct impugns the employer’s public reputation or image, then many employers will discipline or discharge the employee for the off-duty conduct itself, particularly if a policy or contractual provision allows it. “Employers also should assess whether a perpetrator of domestic violence possibly might be a danger to other employees or visitors in the workplace. If so, the employer should take all reasonable steps to avoid any violent or dangerous situations, including discharge and involvement of law enforcement. Domestic violence is often committed against women, which has gender implications. What’s the diversity leader’s role if this is happening? “Responding to domestic violence concerns should be a primary focus of workplace diversity leaders, as nearly one-third of all American women report being physically or sexually abused by a husband or boyfriend at some point in their lives. Moreover, statistics show that domestic violence presents security concerns in the workplace and negatively impacts productivity and the financial performance of employers. “Diversity leaders should work closely with human resources and security officers to develop a comprehensive policy regarding domestic violence, perhaps as part of a broader workplace violence policy. In addition, Diversity, HR, and security personnel should lead the organization in educating employees and management on the negative effects of domestic violence on physical and mental health, job performance, absenteeism, and workplace productivity and in developing effective procedures to effectively assist and respond to victims. “A big key is fostering a workplace culture where victims of domestic violence feel comfortable discussing the issue with diversity and HR leaders, as the employer cannot even attempt to assist or counsel a victim if it remains unaware of the problem. So, there’s not much employers can do. I hate it when I’m right. The whole thing is scary. Scary and saddening. I’ve been assaulted once in my life. Rather, almost assaulted. A former friend’s boyfriend tried to get extremely fresh with me one night in college. I tried to beat the devil out of him. I’m forever grateful I swing like a girl otherwise I might be writing this blog from under a jail where I’d be interred for opening his head with a fireplace poker. And she was my girl! When people saw me, they saw her. That screwed my mind up. I don’t know how that situation would have affected me on a full-time job, especially today. Things move so fast, you have to have 100 percent focus or you miss things. Or, heaven forbid, you come to work with a bruise, or worse, a succession of bruises or suspicious injuries. Given our tendency to blame the victim I can only imagine what that does to a woman’s credibility, promotion chances and development opportunities. 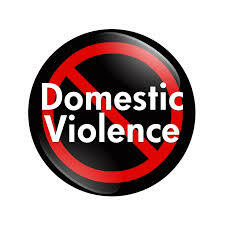 I wonder does the average EAP program cover domestic violence? Perhaps it should. Hi Kelly, Great post. And great information. Just an FYI my company The Business of Me (http://www.thebusinessofme.com/) has an EAP program that specifically addresses domestic violence in the workplace.